Here's an Apple rumour that doesn't centre - for once - on the iPad. 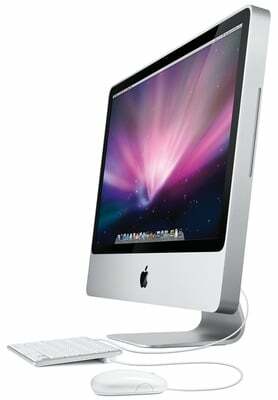 The Mac maker will this year release an iMac based around a 22in touch-sensitive display. No other details are known, but it's not hard to conceive of a new machine equipped with Intel's latest 'Arrandale' Core processors - the ones with graphics and memory controller modules built into the CPU package. Apple's iMac: soon to be more touchy-feely? Will Apple seize the initiative and become one of the first vendors to ship a computer with integrated USB 3.0 - aka SuperSpeed USB? Either way, touch-sensitive all-in-one computers are in vogue, and it's hard to imagine Apple not wanting to tap into this trend. Particularly since, because of the iPad's arrival, Apple will be keen to do its utmost to promote multi-touch as a form of computer control.